APANAMA: Tunku Aziz a moron? When he joined DAP, Tunku Abdul Aziz was hailed as the 'Towering Malay'. But after having quit the PAP-offshoot on May 16, Tunku Aziz has had one too many names. 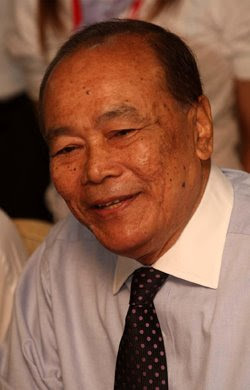 The probability of Tunku Aziz being branded with nasty labels was rightly predicted by Sin Chiew's Tay Tian Yan on the day the 'Towering Malay' threw in his towel on Lim Guan Eng and his father Kit Siang's face. OPINION CORNER: Democratic values banished? 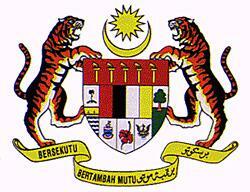 Lim Kit Siang said: My heart's broken! (Just four months ago) 16 May: I received a text message from a senior DAP leader, telling me Tunku Abdul Aziz's departure dealt a serious blow on the party. It took DAP a whole lot of effort to inch towards a multiracial entity and now all the transformation effort has gone down the drain. Sure enough the liberal and democratic image the party has championed over the years has now become widely questionable. I replied his text message: The damage has been wrought. If lessons could be drawn and flaws fixed, a bright future is still beckoning ahead, but if the party remains recalcitrant, it may some day lose all its people. 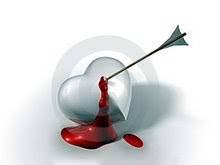 He replied: Your view is noted. Hopefully the party will wake up! Indeed this friend of mine has taken note but not majority of DAP leaders and supporters. Many are still in the dark what has actually happened to the party, in fact a rather serious thing. Some might think it would be alright just by calling Tunku names, accusing him of being bribed by BN. Fireworks from both sides of the political divide died down a few weeks after Tunku Aziz's shock resignation as senior National Vice Chairman of DAP but lately the former Transparency International Malaysia chief has once again become the target. 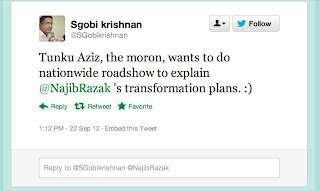 Three days ago PKR national Secretary of Strategy & Policy Bureau, S.Gobikrishnan, described Tunku Aziz as 'the moron' in his tweet message. A day later Pakatan Rakyat politicians who are obviously bitter with Tunku Aziz's decision to reveal the truth about DAP, further elevated his position. 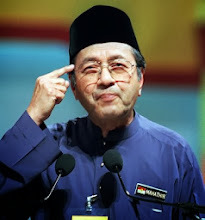 Pakatan politicians want Malaysian to believe that Tunku Aziz was a 'BN Agent' just because the man had exposed how Lim Guan Eng practically appointed himself as the Chief Minister of Penang in 2008. Tunku Aziz the 'BN agent & moron' thinks a Penangite could lead Penang and not someone who was rejected and ejected from the DAP in Malacca. Not a bad idea though. p/s Wonder what could be in store for DAP chairman Karpal Singh if a former senior Vice Chairman of DAP could be a moron in just four months. 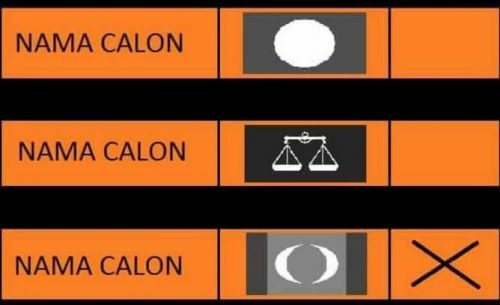 THE REAL MORONS ARE THOSE IN THE DAP AND PKR + PAS. THEY ARE KINGS OF ALL MORONS. Calling people Low class, morons, are this the kind of people we want to vote into office?? Agrees..just reflective of all the state of the minds of the oppositions...tin kosong! Only a morons would say those are not in line with them as moron. At least the morons in DAP and PAS have not abused public funds. Come next elections that will be the main quality people will be looking for. 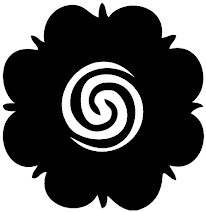 A person does not become a moron just because you give him that name. He has to earn it.